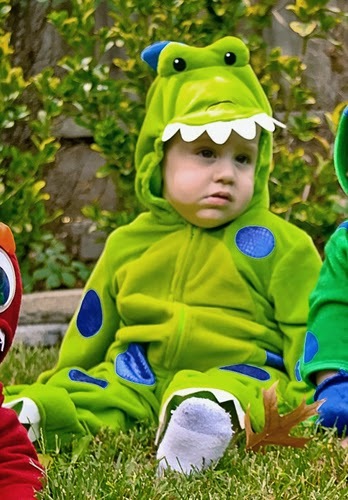 October 2010 was my son’s first Halloween, he was 10 months old and still adorable and squishy. I’m mean he’s still pretty cute now, but his attitude is progressing to dramatic teenage way too early. And he’s not squishy, he’s tall and thin with less than two feet to go to outgrow me. I’m the house hobbit, can’t help my height. Finding photos from past Halloween’s is a bit of a challenge for me since I don’t want to dig through my external hard drive. So I went to my facebook and I have ONE photo from this Halloween. He was a dinosaur! I love dinosaurs, have ever since I was young and continued to after Jurassic Park scared the daylights out of me. I wanted to do his nursery in dinosaurs but couldn’t find anything at the time [the next year they were everywhere] and didn’t realize I had the skills to sew it all. 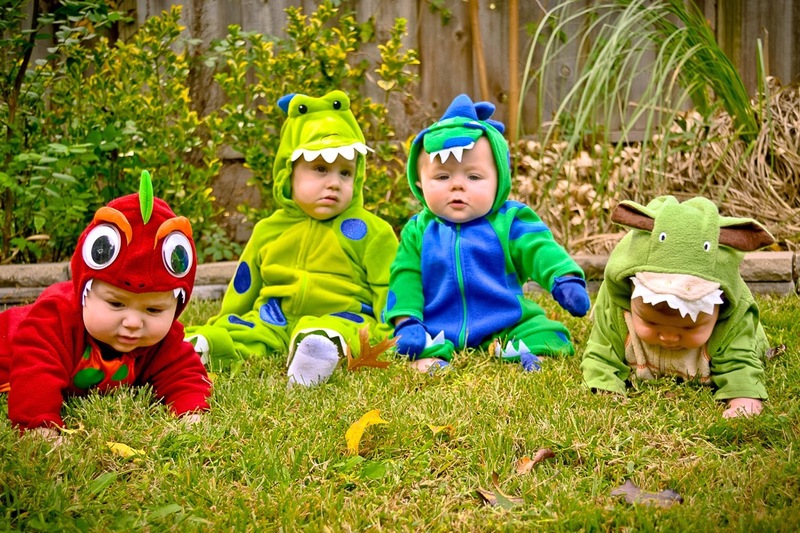 So I chose a dinosaur costume for that year! The look on his face says that he clearly loved the costume. The funny part is you can see his little feet hanging out the bottom. That is an 18 month costume and he was already too tall for it by time Halloween came around. Lesson learned, don’t buy the tall kid’s costume too far in advance. This halloween was certainly the best because I wasn’t letting him have any candy at this age. Yes, I shamelessly used my child to get free candy. I present, CUTE SQUISHY DINOSAUR! Enjoy the cuteness.